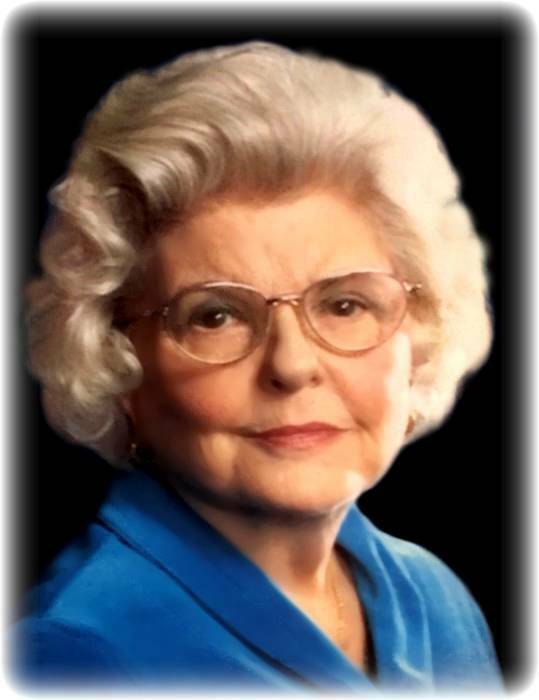 Obituary for Alice (Lewis) Ziegler | Bill Head Funeral Homes and Crematory, Inc.
Alice Lewis Ziegler passed away on February 8, 2019 at the Lanier Village Estates Retirement Home in Gainesville, GA, at the age of 93. As the only child of Atlanta attorney William Harold Lewis and Annie May Strickland of Duluth, GA, Alice was named for her grandmother, Alice Harrell Strickland, who was a active member of the community and known as the first woman mayor in Georgia. Alice attended Girl's High in Atlanta and Brenau in Gainesville, GA. She led a life of service directing her energies for the benefit of animals. Along with other volunteers, she was responsible for the formation of the Gwinnett Humane Society. Alice's life was shared with her husband, Frank R. Ziegler, who was a well known football player at Georgia Tech; and as a halfback, helped the Philadelphia Eagles win the World Championship in 1948. Frank also had a long career as Vice-president of Ziegler Tools. Together, Alice and Frank enjoyed their dogs and cats and loved their family and church. Their home in Duluth, the Strickland House, is 122 years old and still remains a Duluth landmark. Alice was preceded in death by Frank. She is survived by their children, Sandra Ziegler, Robin Burch (husband, Glenn), Bill Howard, Bob Howard (wife, Susan), Cindy Tupps, Frankie McCafferty (husband, Bruce, and their families. In lieu of flowers, donations can be made to the Duluth Historical Society, P.O. Box 599, Duluth, GA 30096, or to the Duluth Church Cemetery Fund, c/o Annette Summerour, 3642 Knox Drive, Duluth, GA 30096, or to the Gwinnett Humane Society at donate@gwinnetthumane.com. The funeral will be held at 2:00 pm Saturday February 16, 2019 at Bill Head Funeral Home, Duluth Chapel. The family will receive friends one hour prior to the service from 1:00 - 2:00 pm at Bill Head Funeral Homes and Crematory, Duluth Chapel, (770) 476-2535.